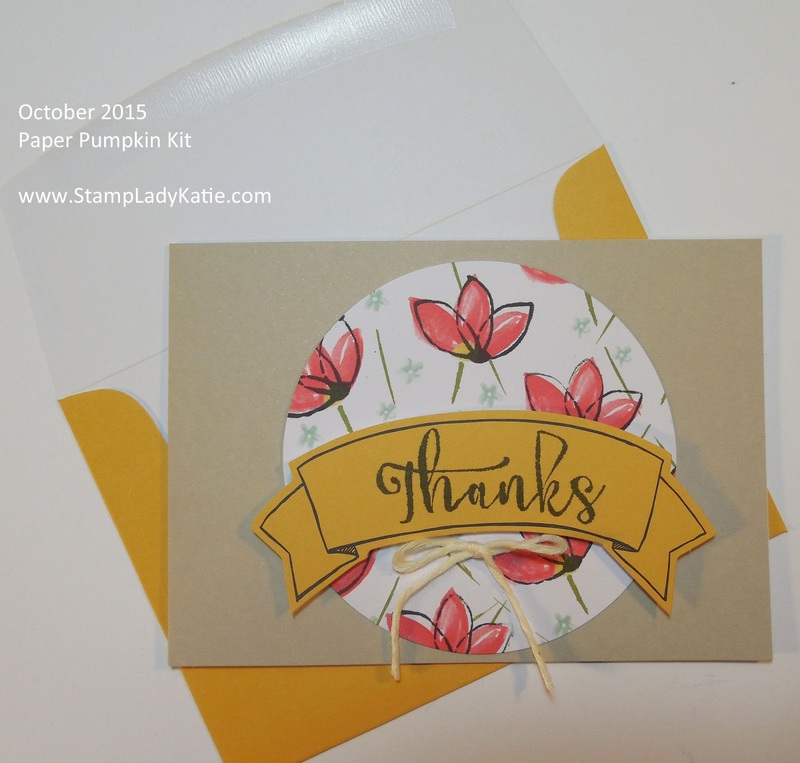 Are you a subscriber to Stampin'UP! 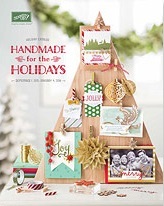 's monthly Craft Kit? 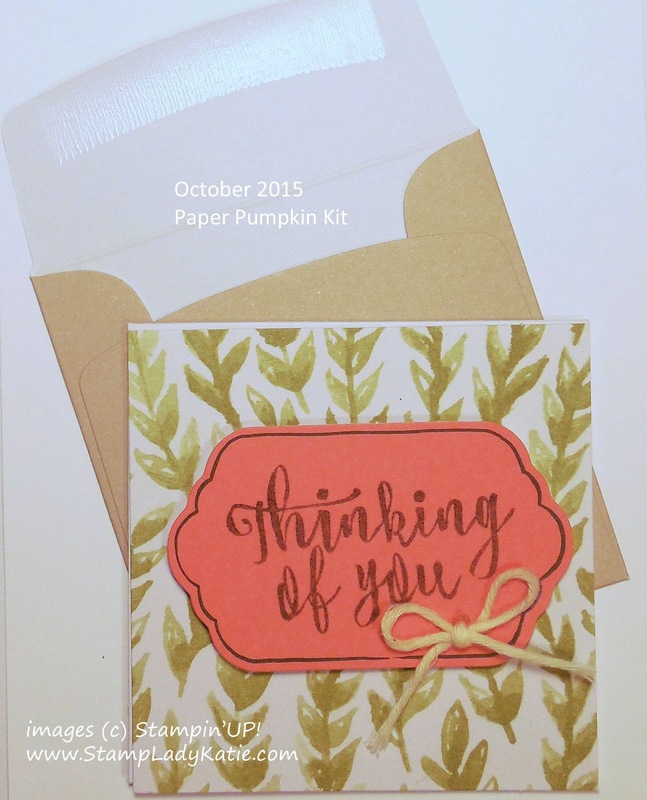 The subscription is called "Paper Pumpkin", although the projects are NOT pumpkins . . . but they do come in an orange box. 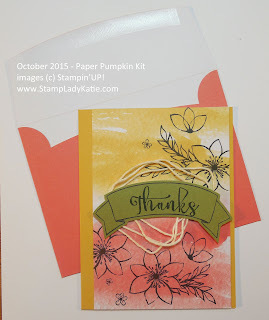 The October Kit (Blissful Bouquet) was a really versatile flower stamp set and gray ink pad. 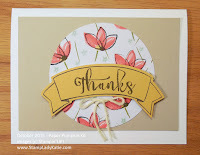 You can see the flower stamps in this picture along with the intended projects. This kit actually had 3 different size cards ranging from a regular greeting card down to a gift card. I made up each as intended, but since there were enough parts for 3 of each card I also changed them up a bit. Here are my cards. The Gift Card is on the left, cool that it comes with a matching envelope. But I actually don't use that many gift cards - so - I just added a yellow frame and mounted it on a regular size card. Voila! 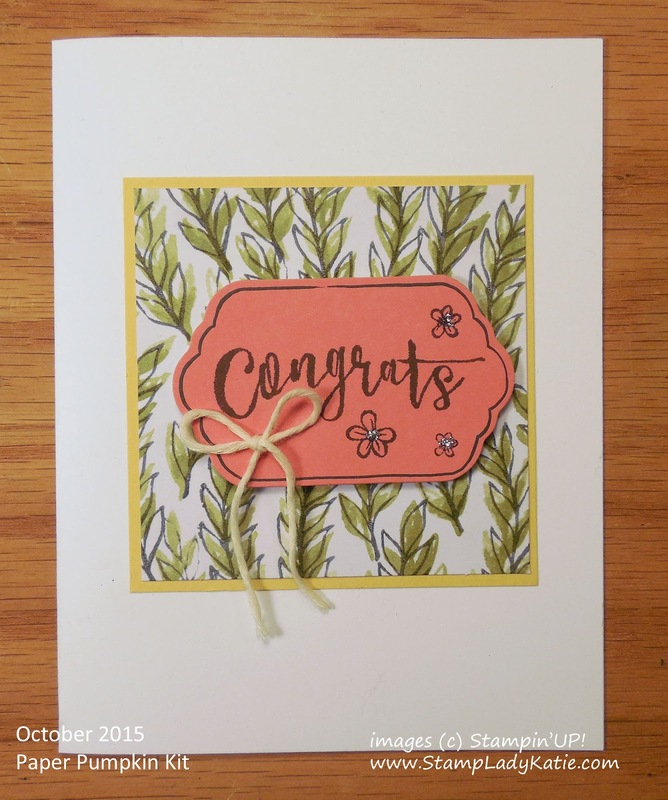 another greeting card. Notice the leafy Designer paper. It comes with the kit. Actually EVERYTHING you need is included in the kit. The fun thing about this kit is that one of the stamps matches the designer paper. See . . . you stamp on the designer paper. Fun, right? I thought it was cool. 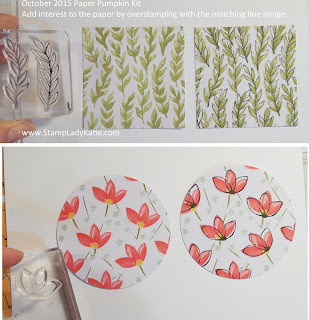 The Designer Paper circles were part of the kit too and there's another stamp to match the flowers. So here's the 2nd card, again slightly smaller than a regular card. I made it as intended and then mounted it on a regular size card base. The 3rd card came with this gorgeous watercolor background. Again, here's the intended project on the left and my altered version of it on the right. Now I'd like to tell you the black banner came from my imagination, but (shh!) the truth is its covering a big time mistake on the background piece. But there's never any mistakes in stamping right? 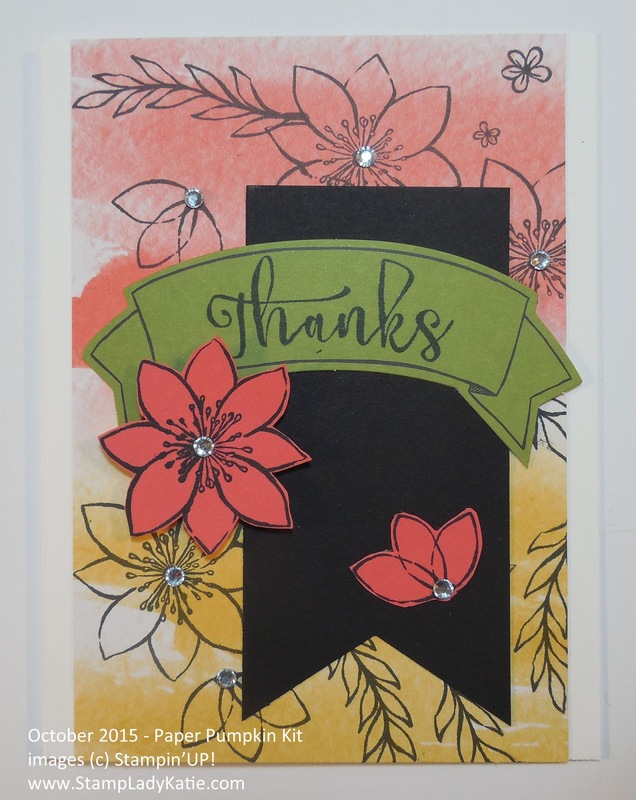 Just opportunities for layers and embellishments! 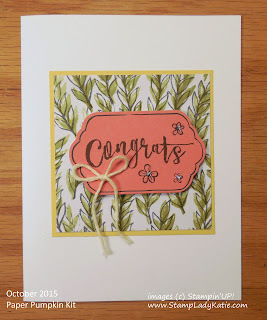 By the way, the flowers on the last card were stamped on Calypso Coral paper and I cut them by hand. They make a nice additional layer (and help to totally cover the smudge). If you want to see more of what I did with this stamp set then check back tomorrow for some additional projects.